A1 is the Harvey Award winning graphic novel anthology series published by Atomeka Press. It was created in 1989 by Garry Leach and Dave Elliott. It has recently started being published again with new and old material. 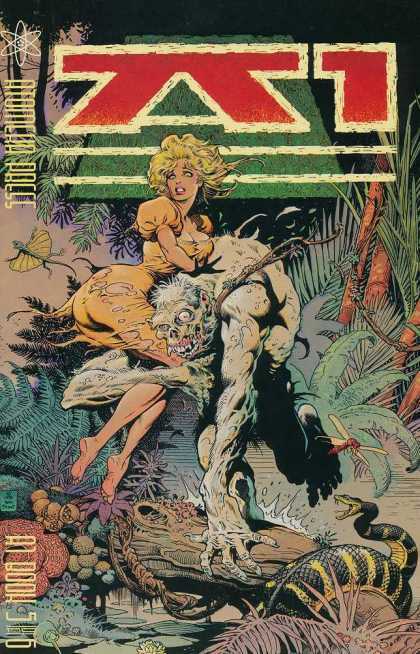 The first series (from the late 1980s) comprised six issues, plus the A1 Bikini Confidential. Page-count varied around the 64-128 range. Most stories were one-off showcases, sometimes featuring characters that had publishing history elsewhere (e.g. Concrete, Mr. Monster, Mr. X, the American, Flaming Carrot). 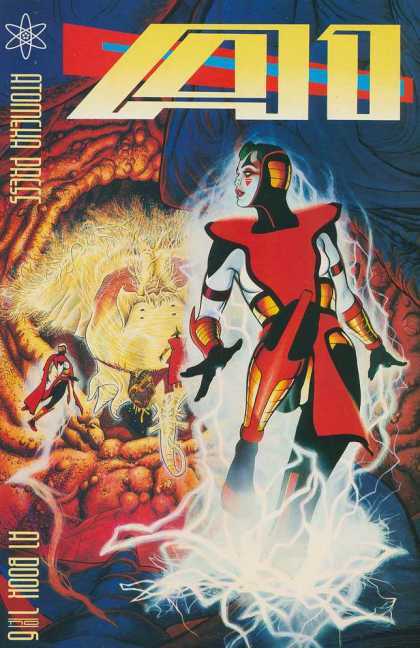 "Bricktop" was the one ongoing serialized story, though The Bojeffries Saga by Alan Moore and Steve Parkhouse appeared as self contained stories in almost every issue. 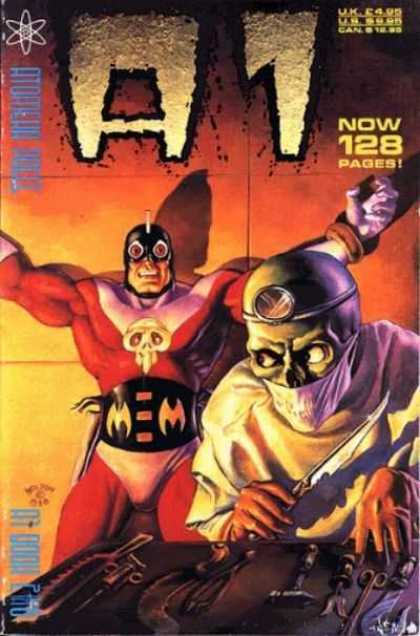 Issue 6 was numbered "6A" and a proposed "6B" never saw print, although most of the stories did see print by other publishers such as Heavy Metal magazine. 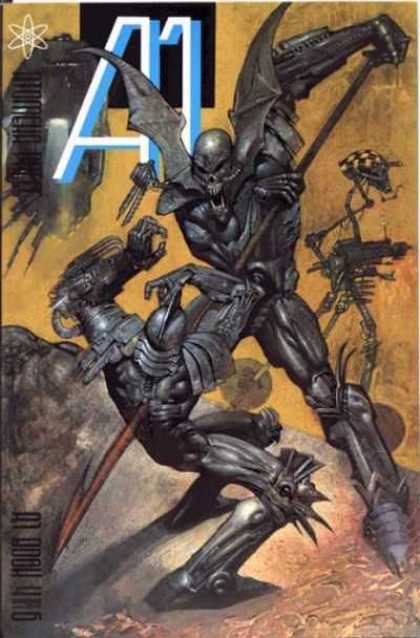 In 1992 a second series of A1 appeared under Marvel Comics's Epic Comics imprint, edited by Dave Elliott. These were four 48-page color books featuring work from Dave McKean, Kent Williams, Scott Hampton, George Pratt, P. Craig Russell, Glenn Fabry, Pedro Henry, and many others, including the late Martin Emond. 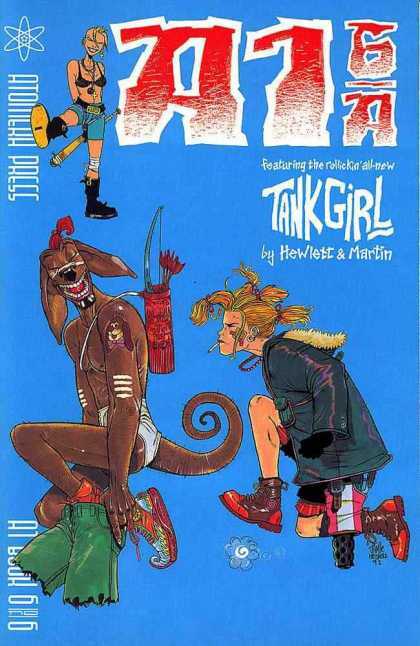 In 2004 Atomeka started publishing A1 again starting with A1 Big Issue Zero. It featured a Bojeffries Saga story that had originally appeared in two parts in Warrior with an introduction that was produced for the U.S. market to introduce the tone of the material. The new material for that issue was a beautifully drawn strip by Steve Pugh called Shark-Man. Shark-Man eventually had a three issue run in full colour in 2008 published by Image Comics.